Kia Motors has a storied history, one punctuated by an Asian financial crisis that led to bankruptcy and an astonishing rebound into the brand we now see dominating awards and recommendations all over the world. 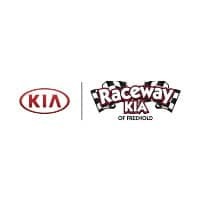 Now a force to be reckoned with, Kia has consistently debuted vehicles that are both popular and reliable, designed to meet the needs of both practical and style-focused buyers. The Kia Soul, for example, took the world by storm with its 2009 debut and the Kia Optima redefined the midsize sedan market in 2011. As an Asian automaker, one of Kia’s fiercest rivals is Toyota, the recognized import king of the auto world. The most popular of their vehicles, the Corolla and the Camry, are reliable, comfortable, and conservative, often appealing to an older demographic who are loyal to the brand. Of course, Toyota offers a wide variety of vehicles, including full-size and light-duty trucks, SUVs, and even a sports car–but the most popular brands continue to be sedans and the ever-present RAV4. Toyota is also the world’s market leader in the sales of hybrid, beginning the trend with their groundbreaking Prius series. In 2017, Kia earned the #1 spot in J.D. Power’s Initial Quality and Dependability Survey for the second year in a row, and its models have been racking up awards as well. Backed by one of the industry’s best warranties, Kias are a smart choice for people who want a little bit of everything, including a taste of luxury at a price that’s budget-friendly. Kia models continue to impress critics and reviewers, who see in them smart design and even smarter value. Take a look at Kia models and Toyota models, head-to-head, and see what you think. Even better? Drive both of them. We’re sure you’ll see that Kia is the right choice for you.